If you're new to Mac, you may not realize that the Dock is not the only place you can access applications and folders. The menu bar of your desktop can also hold a dozen or more applications and plug-ins for easy access to lots of content on your computer. In this article, I will share some of my most used menu bar apps and briefly explain the benefits of accessing these items from the top of my computer screen. I will review in more detail some of these items in longer articles in the coming weeks. If your Mac is constantly plagued with too many open windows of numerous applications, Spirited Away will automatically hide any applications that are in the background for a specified period of time. It won't quit unused applications, just hide and get them out of your way. 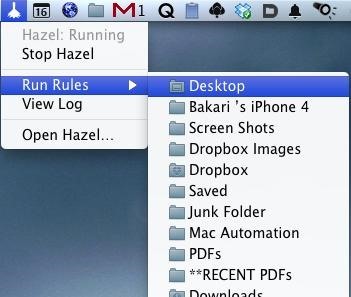 I reviewed Hazel in a previous article, and boy am I glad this app is in the menu bar, because from there I can run Hazel rules when they are reluctant to run themselves, or quickly access and add rules to Hazel. I may review Default Folder X in a future article, but essentially it helps you with opening and saving files and folders. I sometimes use it to access recently used folders and other favorite items. 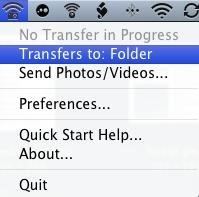 OpenMen X is similar to Default Folder X, but it's better in that it allows you to access folders and other files and applications by right- or Control-clicking anywhere on your computer. 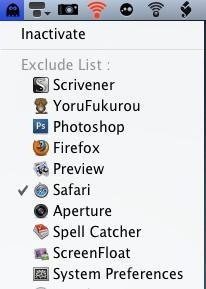 Butler is an application and file launcher that can be accessed from your menu bar and via hot key. There are so many features in Butler that it requires a full review. 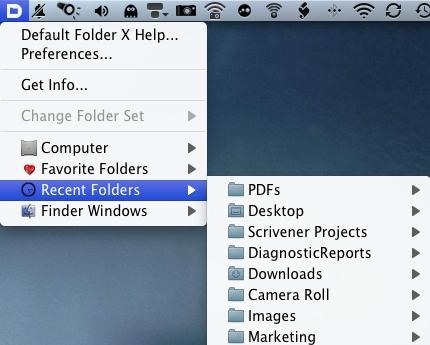 If you like accessing files and applications from your menu bar, Butler allows you create folders and smart items (e.g., mini iTunes player, clipboard manager, web search) that you can put into the menu bar. If I had to go with only one menu bar application, it would be Butler. The menu bar is a great place to access a calendar or scheduled appointments, but for some odd reason Apple has never made iCal accessible in the menu bar. Well, thanks to Alarms App, you can now add quick alarms and appointments without having to haul out iCal and go through several clicks to add one simple appointment. 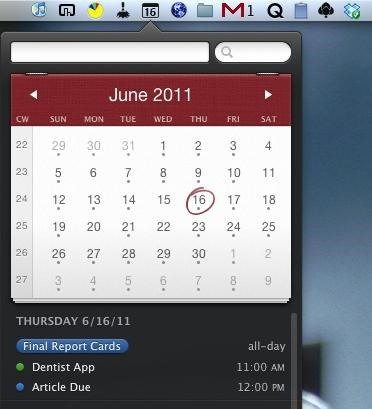 After Alarms App came out, an even better calendar application now appears on the Mac App Store called Fantastical. This menu bar app allows you to check your iCal appointments and create new ones right from within your menu bar. Fantastical is stylistically attractive, and all you have to do is type in your appointment, dates, and time (e.g. Dentist appointment, June 31, 11a.m. ), and Fantastical will sort the information for you into a new iCal appointment. I'm a huge fan of QuicKeys—an automation program that allows you to automate nearly any repetitive task you perform on your Mac. I have several video tutorials about using QuicKeys, and I will be writing another review about it here on WonderHowTo. 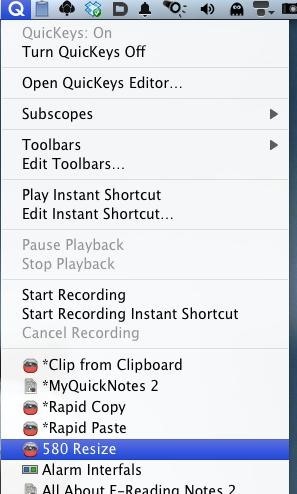 One very useful feature in QuicKeys is the ability to run automations from the QuicKeys menu bar icon. Watch this video for a demonstration. Read more about PhotoSync here, but it's an application I keep in my menu bar for quickly syncing photos in the Photo Library of my iPhone to my computer. RemoteSnapSever is used with an iPhone app called RemoteSnap, which allows you to snap a photo with your iPhone and automatically export it to your computer. It works like a webcam on your computer. I like having several Gmail accounts, but I don't like going onto the web to access them. Mailplane is my Gmail client of choice, and I keep it in my menu bar for easy access to all three of my accounts. 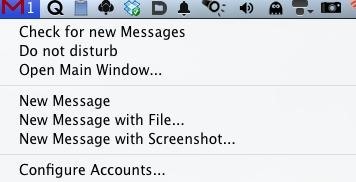 I preview messages from the menu bar, as well launch mails to read them in full. Caffeine is an app I pull out when I need to temporally keep my Mac from going to sleep, such as when I'm watching a video or doing a presentation. It's really easy to use, and even though I don't keep it in my menu bar at all times, it's still useful to have. If you type a lot on your computer and you're not using a text expansion program like Typinator or TextExpander, then I have grave concerns about your sanity. 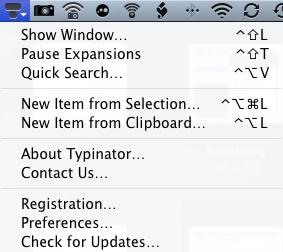 I keep Typinator on menu bar so I can quickly add text expansion snipbits as I write. I use it nearly everyday. I'm not sure what the cap is on the amount of applications that can be added to a Mac menu bar, but presently I have over 25, including other items, such as volume control, put there by default by Apple. I always try to quit, however, applications I'm not using on a regular basis so they don't eat up my memory space. Let me know what menu bar apps you like and use.